As the service sector in the U.S. (and many other countries) expands, so too does the requirement for workers with customer service skills. At the same, the explosive growth of the Internet and related technologies in the last 20 years has made remote, or home-based, jobs a possibility in a way they never were before. Together these two trends point toward the growth of customer service jobs from home. The growth is not only in the number of jobs, particularly in the most common customer service job from home, i.e. call center agent but also in the types of customer service jobs that can be done from home. 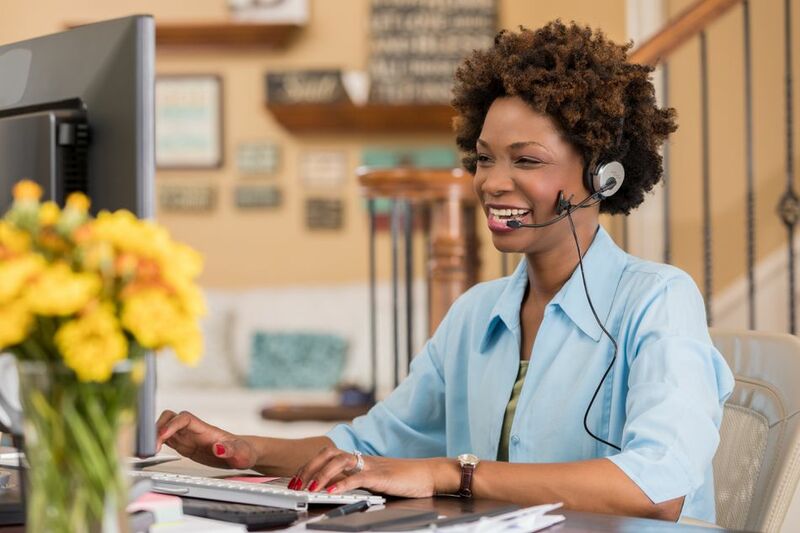 Of course, the majority of the customer service jobs are not work-at-home positions, but here are 5 service-oriented jobs you can now do from home. This is the most obvious way to work at home in customer service, and, conveniently the one with the most positions. Home call centers have been a growing phenomenon as newer technologies make it easier and cost effective for companies to outsource jobs from their offices to nearly anywhere in the world. And though this could mean outsourcing it to a call center located in India, companies sometimes need people closer to home with customer service experience. Chat agent jobs are good for those that want to work at home but need a non-phone job because of noise and distractions in their homes. These customer service professionals may do tech support, answer billing questions or sell products via email, text or chat. However, chat jobs can also be combined with call center jobs or offered by the same places that advertise for call center work. So if you are looking for a remote, online chat job, it’s a good idea to browse call center employers as well. A virtual assistant job is a very specialized form of customer service. Though it may sound obvious, a virtual assistant works remotely (or virtually) to assist clients in a variety of tasks. What is not as obvious is what those tasks are and how the job is structured. A virtual assistant may perform research, manage email and calendars, book travel, etc. She may do this as part of a home business or may work for a company that provides virtual assistant services. However, one thing to keep in mind when looking for virtual assistant work is that sometimes companies advertise what is essentially a call center job as “virtual assistant” jobs. Even though many people book their own travel via the internet these days, travel agents still exist. But what has changed about travel agents in that they now have the ability to work from home. Also because many people book their own travel, travel agents today tend to work more in arranging corporate travel. Experience and/or certification is often required. American Express is one of the largest companies that hire work at home travel agents. To work in technical support from home, you will need the skills of a call center agents (good speaking voice, ability to communicate effectively, patience, etc.) as well as the technical skills to provide support. Many companies will train people to provide support for their products, giving them the specific knowledge they need, but advanced computer skills are necessary to start with.